Spouses wishing to obtain a divorce in South Dakota must submit a Complaint for Divorce and Decree of Divorce to the state Circuit Court in the county of their residence. The party seeking the divorce is known as the plaintiff. The Circuit Court has jurisdiction over not only divorce, but property or debt division, support, custody and visitation with children. The court can also grant a permanent name change at the time of the divorce petition if the plaintiff chooses. South Dakota maintains one of the least strict residency requirements with regard to plaintiffs filing for divorce. The person filing the divorce petition must be a resident of South Dakota at the time of filing, and there is no length of residency requirement. Also, South Dakota permits those in the military to petition for divorce if they are stationed in South Dakota at the time of filing. Once the petition is filed, there is no requirement to maintain residency throughout the proceeding. South Dakota permits plaintiffs to file for divorce either citing no-fault or a particular ground as the reason for the dissolution. In a no-fault divorce, neither party is alleging wrongdoing; the reason for the divorce stems from the spouses having irreconcilable differences. In the alternative, the filing party can cite a fault-based reason for the divorce, including adultery, extreme cruelty, willful desertion or neglect, habitual intemperance or the conviction of a felony. If the other spouse opposes the fault-based allegations, the family court will order a hearing on the matter. In a no-fault divorce, both parties must give consent to the dissolution by making a general appearance in family court. South Dakota adheres to the Equitable Distribution of Property doctrine. This differs from states that split marital property 50/50 upon divorce and relies more on factors relevant to both spouses when dividing assets and liabilities. For instance, the court will consider the earning potential of both spouses, education, experience and likelihood of being able to self-support after the divorce. In marriages in which one spouse worked primarily as a homemaker while the other spouse advanced a career, the court will consider the homemaker's potential success upon entering the workforce and award assets accordingly. Marital property is defined as any property obtained during the course of the marriage and does not include inheritances, gifts or assets acquired after separation. South Dakota uses the "income shares" model of child support calculation. This model recognizes that, in an intact home, the children would be supported by the joint net earnings of both spouses. Now that one spouse is out of the house, the child should receive the same amount from that parent as he would have received prior to the divorce. The court will refer to the income schedule set forth by the legislature each year to determine the amount of support due. This amount is decided based on the noncustodial parent's income and number of children. In South Dakota, spousal support is also referred to as alimony or spousal maintenance. During divorce proceedings, one spouse may petition for spousal support to ensure the standard of living during the marriage is maintained. Permanent support is paid indefinitely until the recipient dies, remarries or no longer needs the income. Rehabilitative support refers to an amount paid for a specific period of time while the recipient obtains job skills, training or education. Restitutional alimony is also temporary in nature and is payable to one spouse while she is pursuing a degree or vocational skill. In setting an amount, the judge will consider the length of the marriage, standard of living during the marriage, debts, assets, age of the spouses and the physical well being of each spouse. 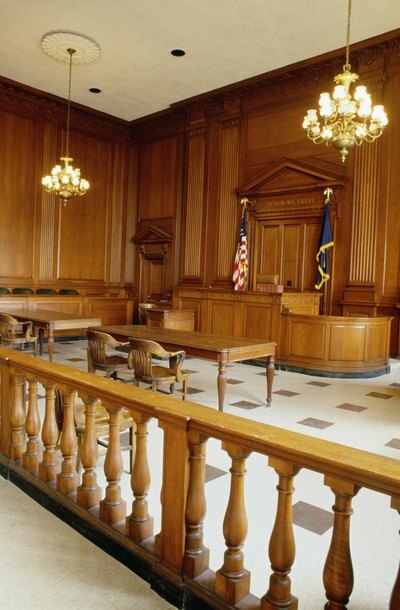 South Dakota courts award physical and legal custody based on the best interests of the child. This standard, developed by the U.S. Supreme Court during the mid-20th century and adopted by every state, refers to factors known as "best interest factors." The court will consider the presence of marital misconduct as it relates to the well being of the child, wishes of both parents and, if age appropriate, wishes of the child. The court is not permitted to consider the parents' gender when making a custody decision. Parents are required to foster the other parent's relationship with the child. McCann Ribstein & McCarty, P.C. Las Vegas was once known as a divorce haven, due to Nevada's tolerant "no fault" divorce laws. Even today, Nevada requires just six weeks' residency before filing for divorce and therefore attracts a number of short-term residents for that purpose. The divorce procedure depends on whether the couple agrees on all relevant issues such as financial settlements and child custody. The Family Court at Clark County Court in Las Vegas deals with divorce cases for the area, applying the law under Chapter 125 of Nevada Revised Statutes (NRS). The laws of Tennessee allow several grounds for divorce or legal separation, including abandonment and separation -- voluntary or not -- of the parties. To file a successful divorce petition based on such grounds, your spouse must either agree to the grounds, or you must prove them to a judge in divorce court. You must state the grounds in the initial Petition for Dissolution of Marriage, otherwise the court will dismiss the case.